What Makes the Acumatica Pricing Model Unique? The cloud has changed the way that businesses access technology. Introducing a complete change to the way a user can interact with the software, cloud deployment has laid the groundwork for more agility, increasingly informed decision making, and better collaboration. Rather than creating an environment in which users are tied to a computer and server, decision makers can now access up to the minute company information securely, immediately, and from any device. This has empowered a new generation of growing companies, who no longer have to rely on email chains to transmit information from location to location. However, the rise of cloud applications has had another major effect as well: a new breed of pricing model. Traditionally, companies would purchase software on a perpetual license, implement the software on their servers, and if necessary, leverage a VPN to provide virtual access to the software. This was the way of doing business, and there were few alternative options in the way software was delivered or priced. For perpetual license software, companies pay an annual support fee that’s 16 to 20 percent of the current list price of the software, making their own upgrades and modifications while remaining responsible for their own maintenance. Of course, this fee doesn’t include hardware upgrade or maintenance costs. With the rise of the cloud, pricing changed. No longer was a perpetual license the only option—businesses could make the decision to pay monthly or annually. The vendor was responsible for maintenance, upgrades, and data protection while the customer paid a simple, transparent monthly fee. This model was acceptable and provided businesses with more flexibility and lower capital costs. While this pricing model was right for some companies, it presented a glaring flaw. Rather than providing different pricing models for different levels of access, pricing was the exact same for each user, regardless of how much or how often someone used the software. For example, a CEO needs to access a few dashboards and reports a few times a year. His or her access cost the same as the power user, who spent hours each day managing transactions or completing accounting tasks. Costs added up, and ultimately companies were paying more than they needed. This left many companies asking why they should have to purchase a separate license for each employee who might need to log onto the ERP system only a few times per month. With the per user pricing model driving costs higher than needed for growing companies, Acumatica took a different approach. Rather than taking an agnostic view of each user and charging the same for everyone, Acumatica opted to offer a unique resource-based pricing model. This model balked at the per-user trend and offered customers the best of both worlds. With resource-based pricing, every user still gains the access that he or she needs, but the company only pays for what is used. Resource use and pricing is tiered, and each resource tier a business pays for is sized to support the volume of key transactions for unique business needs. A company can start on one tier and expand or shrink as needed. The foundation of Acumatica’s cost is the number of applications you are implementing. All applications are integrated and can be added at any time, so you only buy what you need, when you need it. For example, you can start with Financial Management and CRM, and then add applications such as Manufacturing or Service Management as your company expands its operations. At Cloud 9 ERP Solutions, we believe in the transformative power of the cloud for the modern business. However, like Acumatica, we also understand that SaaS delivery isn’t for everyone. 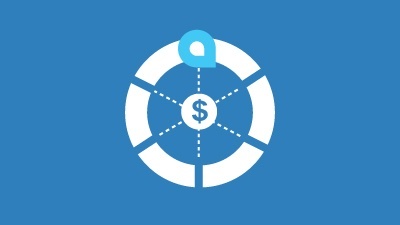 In addition to providing a company-focused pricing model, Acumatica also offers flexible deployment options to cater to the unique needs of businesses. While many companies were designed to be on-premises first and cloud-second, Acumatica was designed in the cloud but still offers businesses the choice of implementing software using a private cloud or on-premises if you so choose. If you are ready to drive your business further with True Cloud ERP from Acumatica, we invite you to contact us for a free consultation.